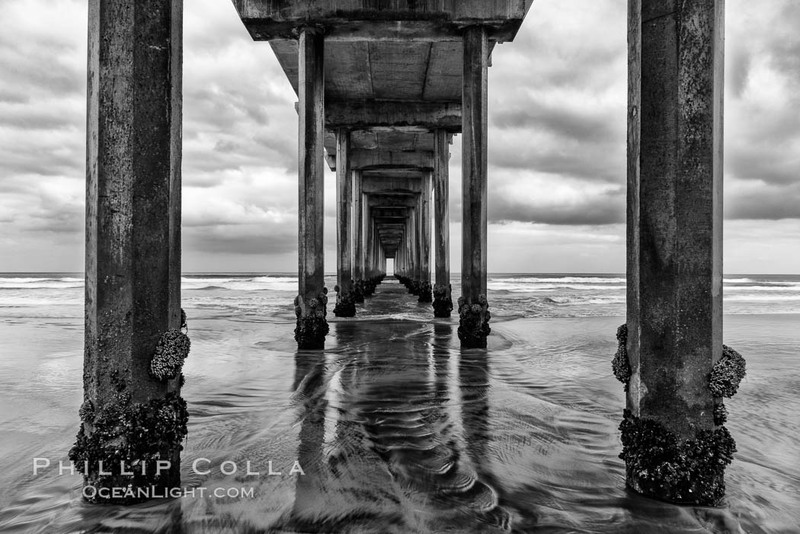 Scripps Pier, La Jolla, California. Cloudy day and small surf. This image was photographed with the relatively new Sony A7R camera. I am really impressed with this camera. If you follow my photography you may know I am not a black and white art photographer, but in this case it seemed to suggest itself. Cheers and thanks for looking! Scripps Institution of Oceanography research pier.